I’m not long back from The Border Gaitherin in Coldstream. I really enjoyed the concert and hope to make more of the weekend next time. Thanks to everyone behind the scenes who made it all possible. Fun Flute Classes resume after a short break with the Improvers class and I have put up the music for Greig’s Pipes on the class resources on The Flow. 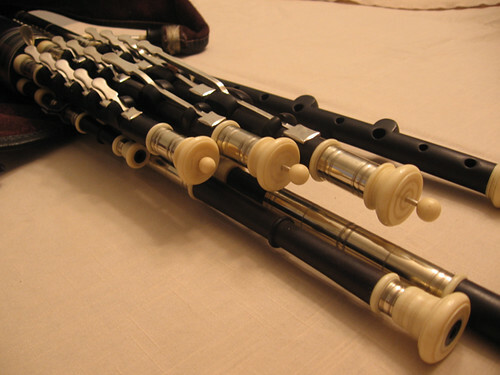 A three-part Irish reel that appears in some Scottish collections, it rolls nicely along in G. There are a number of versions of it around and it is also known as Gregg’s Pipes and Craig’s Pipes. Photo by James van Fleet, Creative Commons licence. This entry was posted in classes, Community, Fun Flute and tagged Border Gaitherin, classes, flute, improver, Irish, reel, traditional music. Bookmark the permalink.